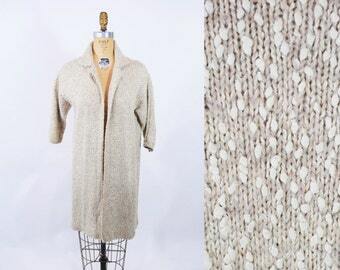 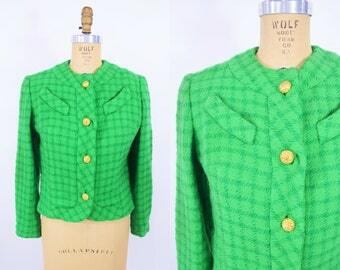 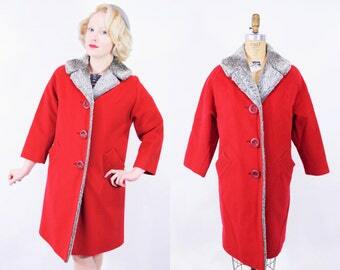 Go for a stroll in this 1960s coat! 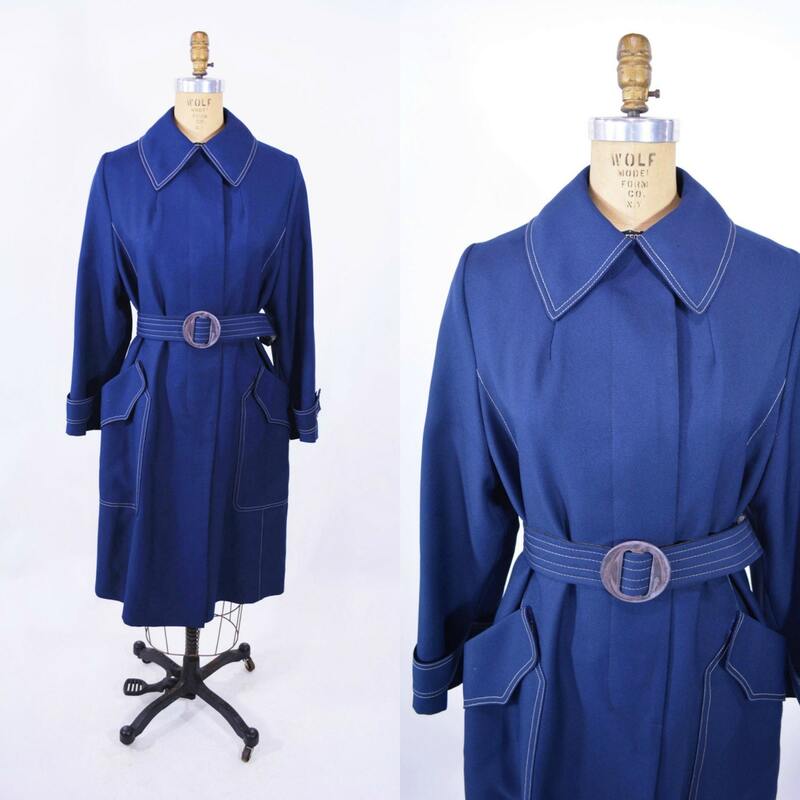 It has a navy blue, light weight material with contrasting white seams on the removable belt, pointed collar and large pointed pockets. 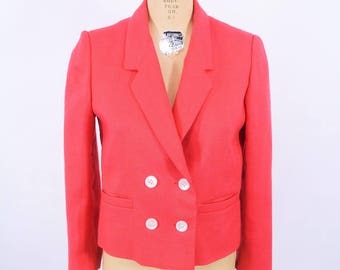 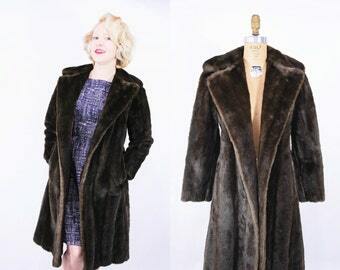 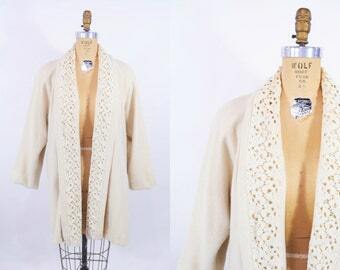 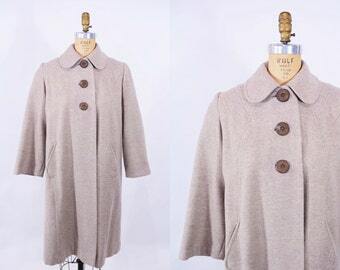 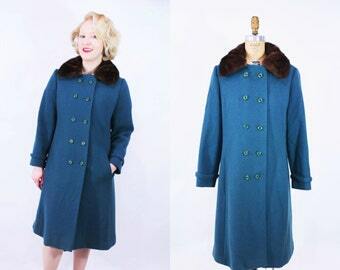 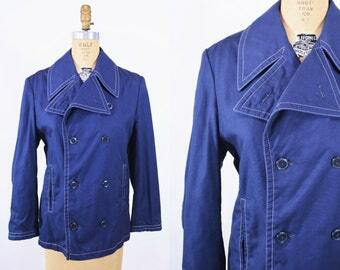 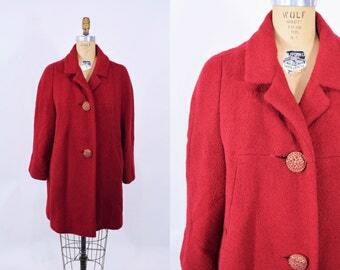 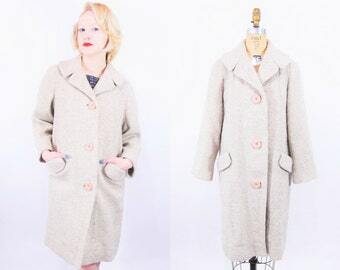 Vintage coat is lined, has a snap button closure at the top and covered button closures down the front. 1980s trench coat | Tiger Fox equestrian lined vintage khaki trench | B 41"
1970s navy peacoat | Europe Craft blue trench | W 38"